Charming house located in a quiet village, the house has a garden and a small pool. The house has all the comforts Appliances: dishwasher, washing machine and a large screen with Canal +. we are in the scrubland that fate, we are also 17 km from the Grande-Motte for the beach; the entrance of the motorway is 5 minutes and gives you access to Montpellier or Nimes in 20 minutes. 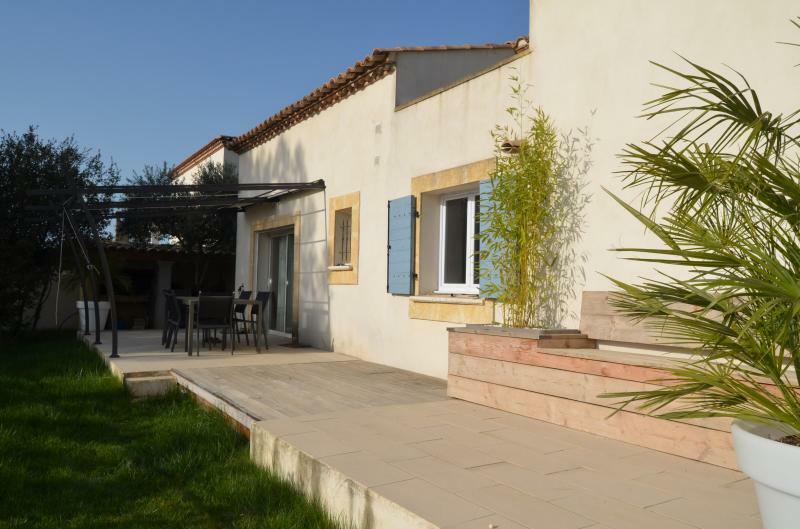 The house is located 5 minutes from the exit "Lunel "
10/19/2015 | Review by Isabelle B. Owner pleasant and available. Very nice house with very nice small pool to cool off. I recommend.